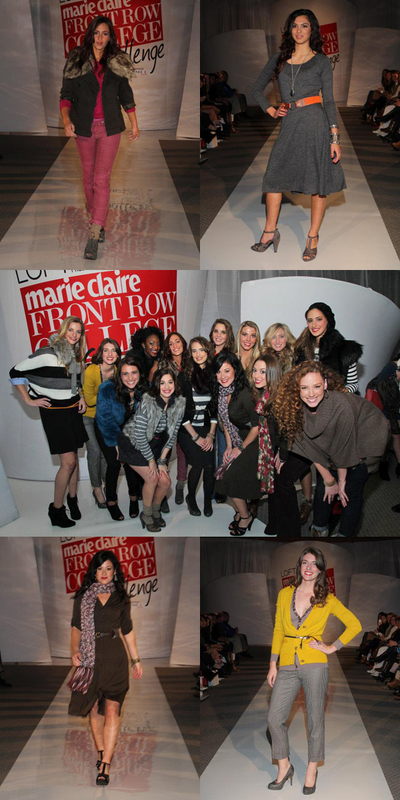 If you follow me on Twitter (HERE) you would have seen my tweet after tweet last Thursday about the Loft/Marie Claire Front Row College Challenge fashion show I was invited to at Penn State University. (I did a pre post on the event HERE if you would like to read more about the specifics). 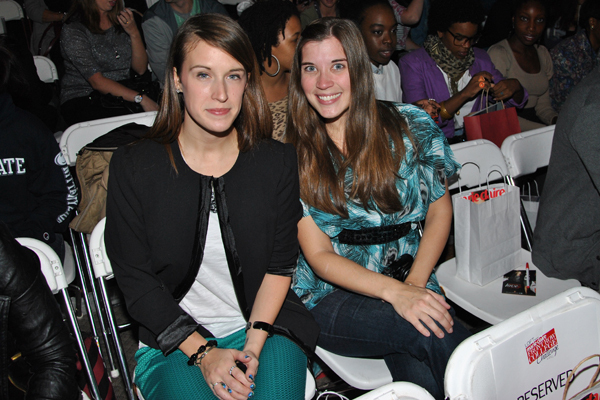 I was so happy for fellow blogger Elysia Mann and excited to see the show she had put together. I met up with my friend Melissa for drinks before hand and to calm our nerves. After drinks and an appetizer we headed over to the venue and ended up being a little early which was great because it allowed me to get some shots before hand. This hour went by so incredibly fast that if you blinked you might have missed it. After the doors officially opened and everyone ran for a seat the show quickly got started. 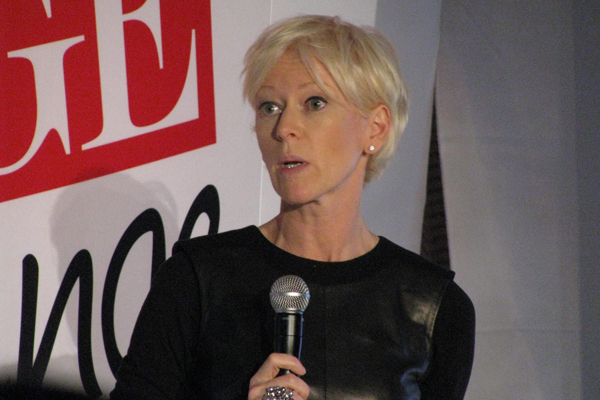 Joanna Coles, Editor in Chief of Marie Claire opened the show with a few words followed by a video recap of Elysia's journey to the Front Row Challenge. Elysia then came out to greet everyone with a welcome and as she walked off stage the lights dimmed and then came back up full force as the models took their turns strutting the cat walk. All of the models were dressed head to toe in LOFT pieces with make up by Rimmel London which Elysia put together and styled. 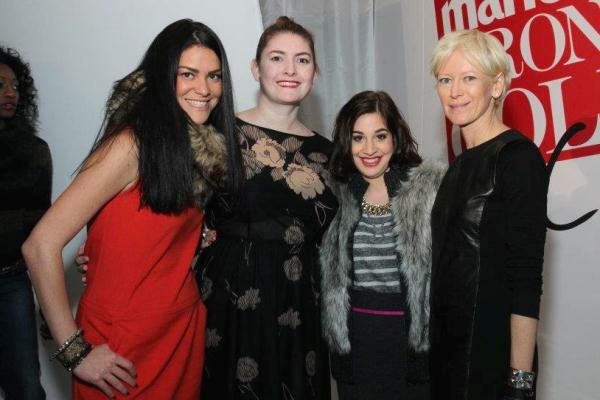 Joanna Coles meeting with Elysia's family. Sitting 2nd row across from the judges with my friend Melissa. 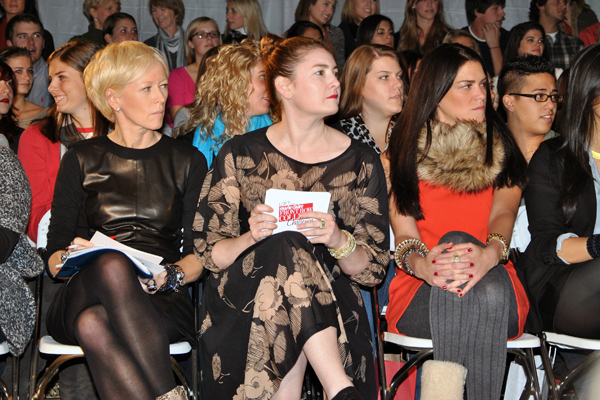 The judges- Joanna Coles, Editor in Chief of Marie Claire; Abby Gardner, Site Director of Marie Claire.com ; Alia Ahmed-Yahia, LOFT Chief Style Director. I thought Elysia did a fantastic job. The looks she put together covered a wide range from playful to professional, simple chic to fun layers. There were many pieces I saw that I definitely would like to add to my closet and a few pieces I could pass on. 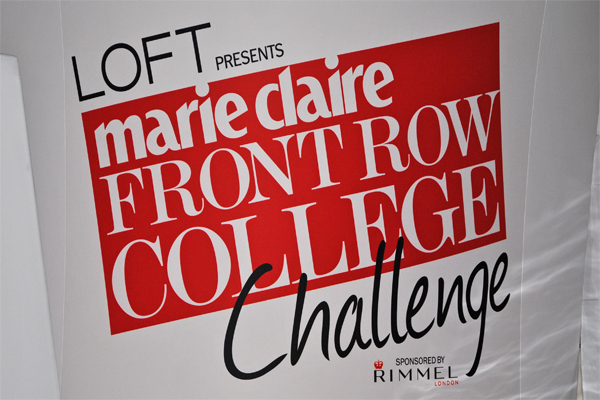 I think this opportunity that LOFT and Marie Claire are giving to college students in amazing and something they will never forget. I would have killed for an opportunity like this when I was in college. I also think it's great that their bringing fashion to campuses where fashion isn't the main focus. I believe Elysia touched on this when she welcomed everyone, but at Penn State University the main focus in this town is football and sports. Ask anyone what the think about at college and they'll say tailgating and watching the game. Fashion is not a vital element for this town but it is important to a lot of the woman on campus and who live here. (like me!) 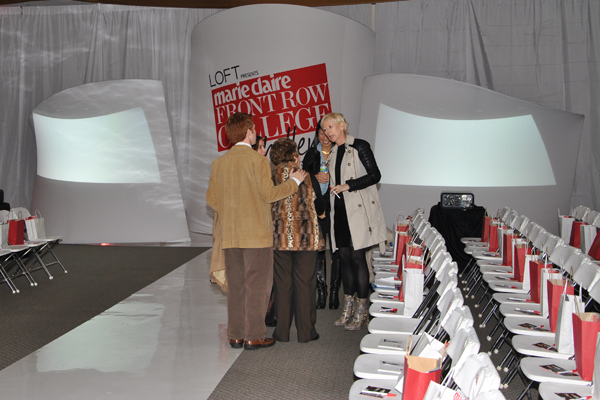 So for LOFT and Marie Claire to come to Penn State and put on a fashion show...well to say it was HUGE is an understatement. Three more shows will be happening at different colleges within the next few weeks and then a winner will be selected by the judges. I'm excited to see how the other girls styled and to find who won. If you follow LOFT on Facebook (HERE) they post behind the scene photos and then the runway looks for everyone to view and give their feedback. What I Wore and who I got to meet is covered in Part 2 tomorrow so please come back for more! Last two photos (collage and judges) from LOFT facebook page.